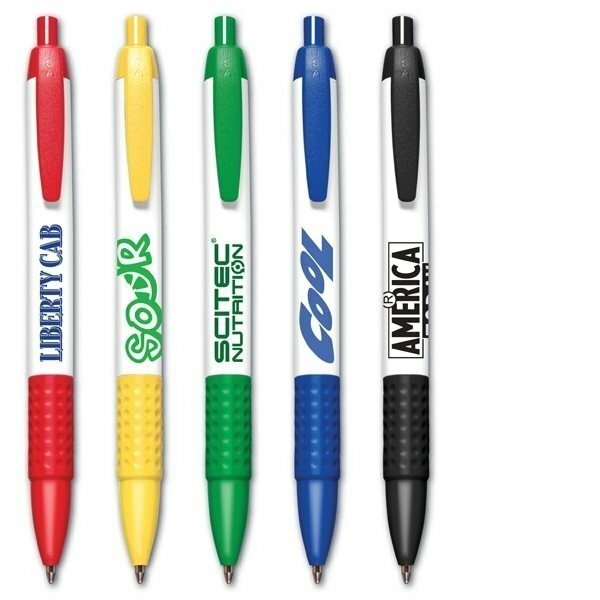 USA Made click action retractable pen with soft grip. 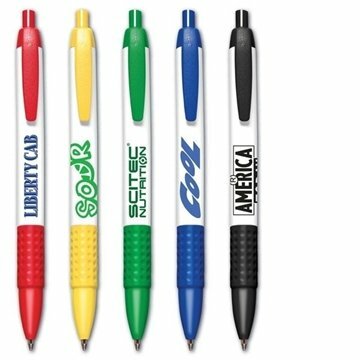 Extra large logo area and multi color imprint optional. It came out exactly as I requested. They look great. We are so happy. good stuff. They write great. Imprint is definitely visible. satisfied with our order. Thank you. Loved the merchandise, received positive comments.